people are people…and knowing myself makes me know them, too! There are up’s and down’s; high’s and low’s; good and bad… BUT no matter what – LIFE GOES ON! Life ‘round me and you! Tuscan Chicken and Cafe mocha made the day complete. There's nothing more satisfying than being able to try everything you ask yourself "what could be there inside". Its simple life pleasures but its not always for everyone...unless you get to know how to earn more than the usual. How? I knowhow and soon will reveal in one of my blogs. So just keep track. Mark the day where people will WALK for a very good cause. People from all over the world have been extending help since the big disaster hit the Philippines in 2013. It affected millions of lives and it is not over. 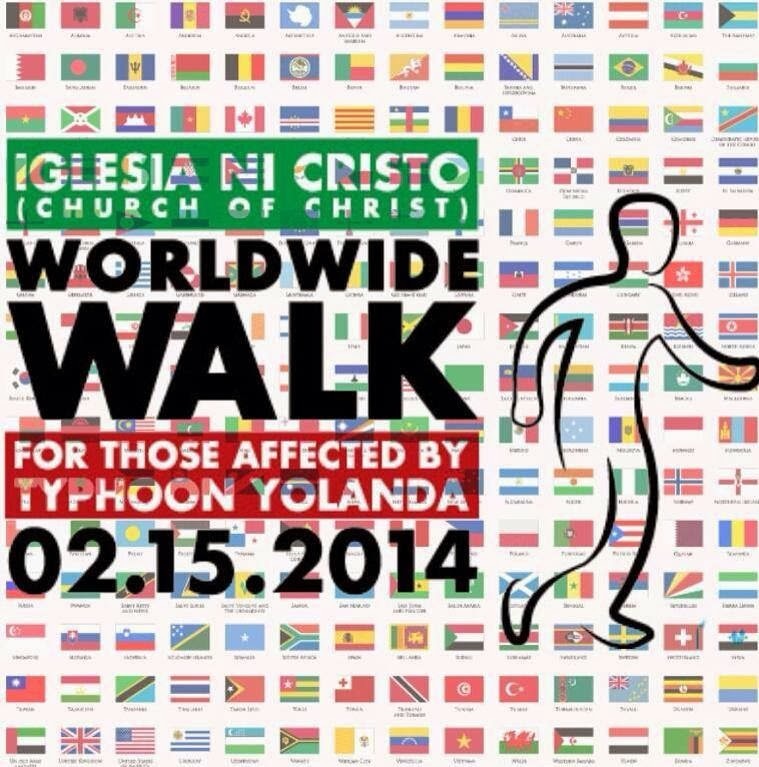 The severe loss and damage the calamity brought continues to pain the victims of this tragic event and the brethren of the Iglesia Ni Cristo feels the intense need to share further with the World Wide Walk to happen on Saturday, 2nd of February 2014. 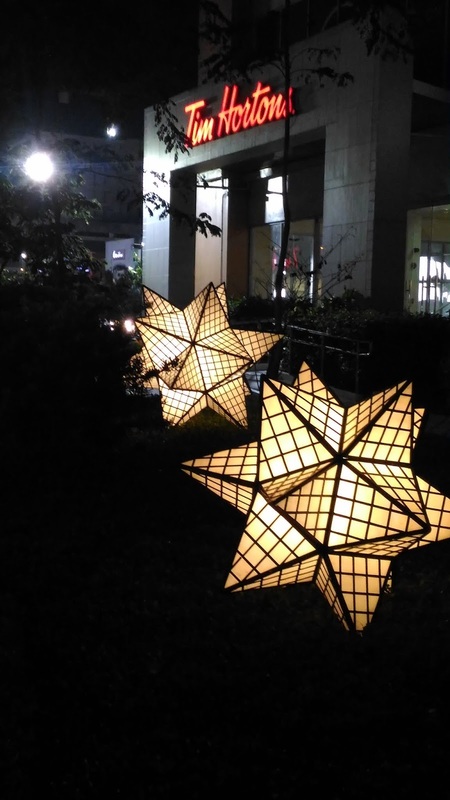 Be part of this simple but effective way of giving not just monetary assistance but a heartfelt empathy to the young and the old that lost love ones, homes and almost – their ALL. What difference does it make if you will walk to have a good functioning heart and walk with us in the WWW and have also a big blessed heart? How hard will it be to use up this one day to be within groups of people sharing smiles knowing you have a common cause? Why not do what you usually do of exercising those bones and muscles, getting the vitamin D that you need, strengthen your heart and lungs WITH ME? WITH US? Know that this is yet another Memory to Keep. Join the Worldwide Walk for the Yolanda Victims and be part of history. Is there a coming foreseen incident, today being Election Day? 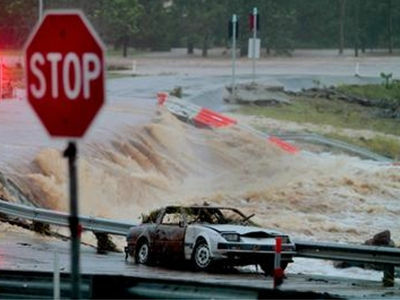 Or is it just a result of the sudden dark heavy clouds formation? 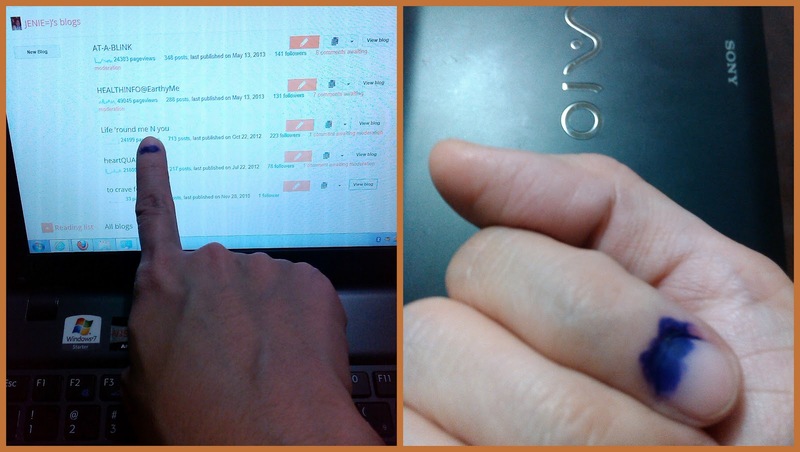 Just 3 hours ago, I finished filling in with black the circles in the ballot provided to me in my precint. I chose what was chosen, let the PCOS machine eat out the paper and let the man-in-charge put me the indelible ink that made me think twice initially to reach out for him to put it in my nail. I was blogging, sharing what transpired earlier when I again noted the ugly tint. "Where among my blog do I put it...darn, how do I take this off?!" Is there no way to do this voting thing without giving the implication that people are not trusted to do just what is right? They, we, had to be marked "done!" Where did the day go when people can be left to do what is required? Seriously, this again made me stop and think. My thought on this election for government officials? This is too worldly for us to dwell on. A citizen choose someone that "might" be for-the-people then again is he the same person he really is as seen by the Higher Being? Is this candidate a supreme being to cure the cancer of the society? Is this human being capable of fighting against the wrath of nature? Why is it that the election seems to be the highlight of their days on earth, killing each other just to get the position? Did they forget that life on earth is NOT our life...that we are merely just passing by? 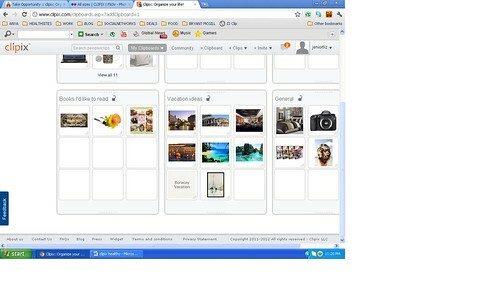 THE BEST WAY TO REMEMBER WEBSITES is with the use of clipix. I have tons of things to do, and it can never be as easy as how I do them today. Thanks for the “computer” age, because now I can almost do everything anywhere I am…as long as I have an access to the net! And we have to admit that there really is access to the net wherever you are nowadays. Most especially if you have your very own computer with you, desktop, laptop, notebook, netbook, and so on. Because now that CLIPIX exists, I can organize the websites that I need to go back to. First, I am a woman that loves to look good. I love to know where to see the best fashion items from tops, shoes, bags, hair styles, make-ups, perfume and on it goes. I also am a woman who loves to be healthy and to cook, and so I need to remember where to go to see healthy recipes, exercises to keep my tummy tucked, how to stay fit with the right diet, and so on. I am a music lover who listen to different genre and loves to sing those songs with the proper lyrics, a wise buyer that gets excited with good deals and discounts, a follower of celebrity news abroad, a wide reader of the latest news as well as many different books, a person that strives from continuous growth in knowledge may it be in science, personality, relationships, baby care/children, to know the best places to go, …and on it goes. I am a blogger and I have tons of friends in the blogosphere in the whole wide world and going back to their sites is an enjoyment. I work in and out of the web and I have to admit that the web is part of my life. I’m definite that you have your very own site preferences as well. Maybe you are sporty, a pet lover, tech-y, or probably movie freak. I don’t know…how about a share of idea of what you will do with our own clipix if you were me? I’d love to here those favorites of yours, maybe I have more to add to my clipboards. Wait no more and start building your ONE-CLICK visit to your favorite sites with CLIPIX. "I have always relied on my pharmacist but thanks to a certain Walgreens and Express Script dispute, I am at a loss for the sudden changes." These are usual comments heard now from many different people needing to suddenly just change pharmacist or are forced to go to 24-hour drugstores that are more costly. They find that they are going to get worse than they are with their ailment with the added burden to their concern, budget. This is how most customers feel now that they don't get to see their neighborhood pharmacy they have been running to since. But everything seems better with the Walgreens Prescription Savings Club where they get to have special discounts on more than 8,000 branded and generic medications; discounts on flu shots, pet prescriptions, nebulizers and diabetic supplies; and bonuses when you purchase Walgreens, Nice brand products and photofinishing services. It is also such an uplift to hear on the special January discount of $5 they can get, or $10 for a family membership. For less than $1 a week, a three month supply of more than 400 generics are available for your choosing gives more reason to consider. And for a regular annual membership, an individual can join for a mere $20 while $35 for a family. You’re probably now as excited as I am. You can get further updates from Walgreens on Twitter or Walgreens on Facebook like I do. It's not so bad when you think it over. It's actually just "getting used to". You can further value Walgreens with the thought that you have the discounts on your medicines, more savings with more health needs and you get to have bonuses from all that, plus you can make use of this mail order pharmacy business all to your advantage. YOU CAN NOW WIN FOR BEING MESSY!!! As much as you want your area to stay organized, there are just times that they go crazy! Probably your desk is now scattered with all the reports that got stacked from the leave you took, or with the deadline just a few hours hours away you just have no time to put everything back in its proper place, or you simply are too tired already from the day-to-day overtime that at the end of the day you just have to leave and head straight to bed. Whatever your reason might be...it does not matter. What matters is that YOU CAN WIN by just capturing a video of that head-cracking, pain to the eyes office space and upload with a really compelling story as to why you are joining this Pimp My Cube Contest. Make it funny and witty for greater chances of winning. Capture the audience (and the judges) with how old tech, dirty, messy, unorganized, gloomy, or however else you can describe it why you believe it not to be conducive and why is it important that the Contest Factory "pimp" this cube. Increase your chances of winning the Grand Prize of approximately $1200 by inviting as much people as you can to vote on your video once registered. Take note: you also get more points each time there is a comment. Hurry now and let the CF Judges see your video. Make it the best of all the worst videos, with the most compelling story and with the most visitors and comments. Contest period is from 12:00 p.m. of the 5th of December 2011 to 12:00 p.m. of the 31st of January 2012. Right now there is still a huge chance for you to win either the 1) NEW HIGH END COMPUTER SYSTEM 2)NEW DESK/CHAIR DECORATIONS or 3)NEW ENTERTAINMENT SYSTEM WITH HIGH END STEREO, ESPRESSO MACHINE, ETC. as there has been none yet uploaded. It's made easy for you to upload from your webcam or your mobile. SO COME AND SEE PMC site now, register and upload your video. An advice: you may not see it to be overly distraughtful to the point of being trash but maybe it's already the worst of all uploads. NO HARM IN TRYING, right? Plus you can get the chance to win the randomly chosen $200 gift certificate at the end of the contest. On my way there, join me! I am a writer. I am passionate and a lover of words. I write to satisfy my cravings to share and to interest others to read about it. I am a blogger that speaks of my personal views and experiences, I am a writer hired at ODesk to further share my talent in writings posts and articles, I am a publisher to most marketing portals, and I am a writer in my own book called life. LET ME BE A PART OF YOURS. Come and Join NOW too!!! I am personally disclosing that this blog is written by me and only me; and all posts inclusive since 16 June 2009. Content is of personal opinion, view, belief and knowledge but ensures honesty and fairness. In the event that you have questions or reactions, as some topics may present conflict of interest, feel free to let me know by sending a message at jeniortizxv@gmail.com. As in other policies, “any product claim, statistic, quote or other representation about a product or service should be verified with the manufacturer, provider or party in question”. This blog accepts different forms of compensation, like that of cash advertising, sponsorship or paid insertions; though may not always be revealed or visibly apparent.